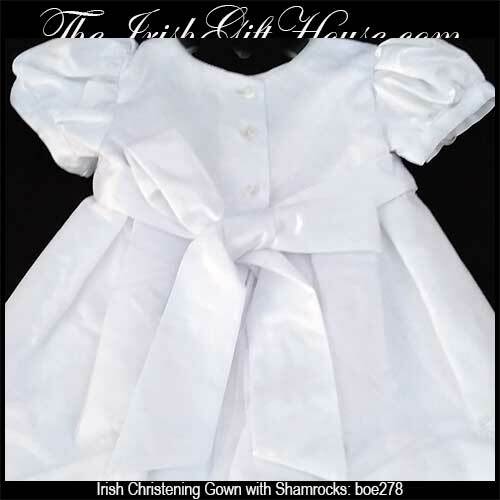 Irish Christening gown features tulle overlay with white shamrocks. 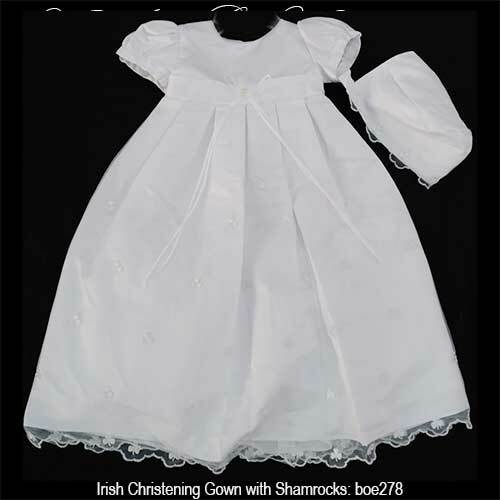 This Irish baptismal gown is available in three sizes. 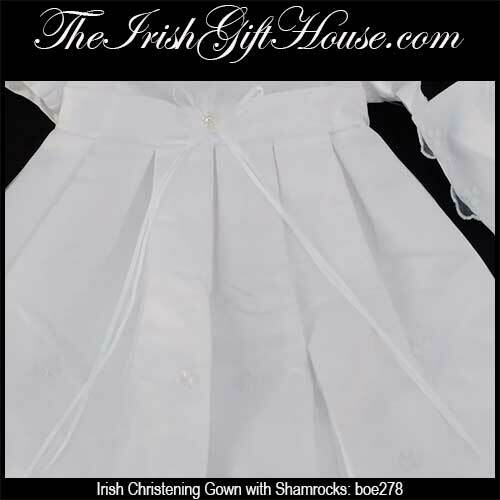 This Irish Christening gown features a tulle overlay that extends below the bow; the overlay is enhanced with appliquéd embroidered shamrocks. 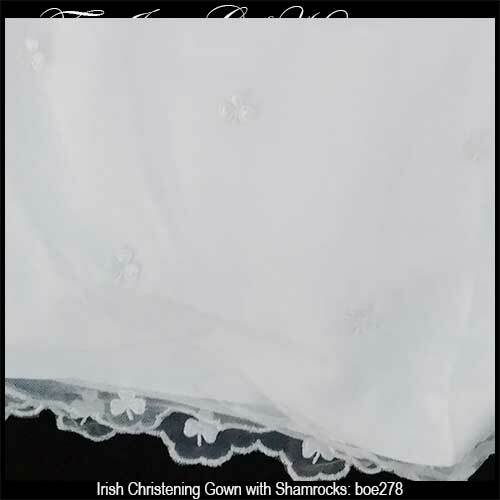 The shamrock Christening gown includes a slip with crinoline netting for added volume to the skirt. 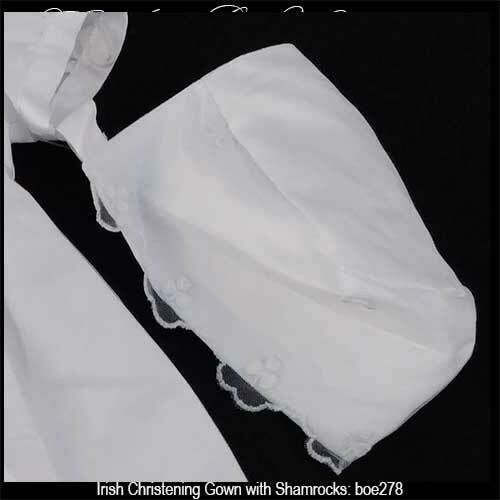 A baby bonnet with white on white shamrocks is also included. 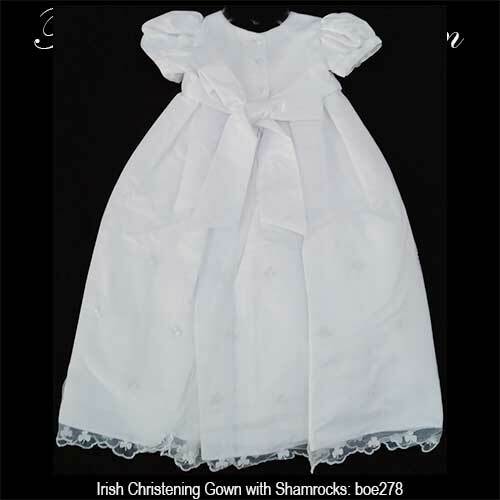 The Irish Christening dress is a polyester blend and is received with a shamrock history card, complements of The Irish Gift House.